The incredibly normal premise of Appeeling Personality is that you're at a banana eating competition. 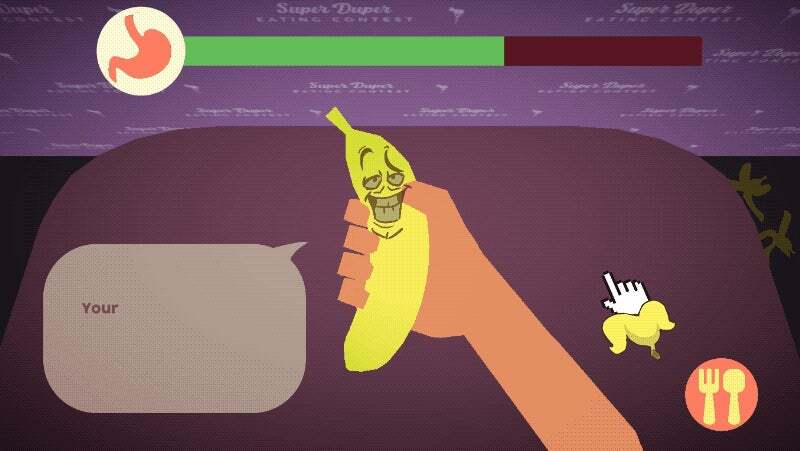 Having come on an empty stomach, you start hallucinating that the bananas are talking to you. The more you let them speak, the more their personalities shine through, and you then get a chance to decide whether to date them or eat them. 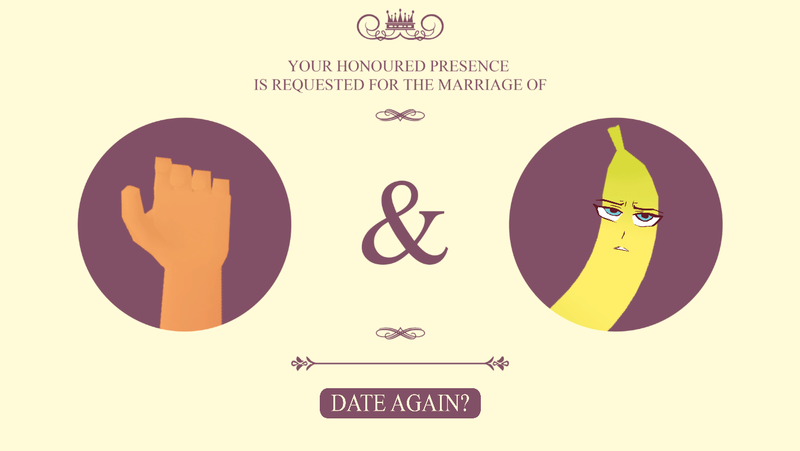 If you decide to date them, you get a lovely wedding invitation for a ceremony between your hand and your chosen banana, and the game ends. 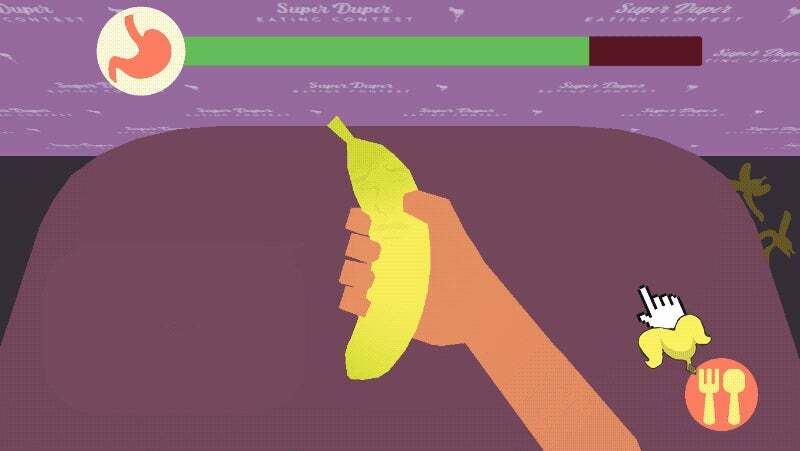 All the hallucinatory bananas have very strong personality types, making getting to know them surprisingly satisfying. One is so nervous that he keeps stumbling over his corny pick up lines. Another negs you, calling you a slob cause you're covered in banana chunks. 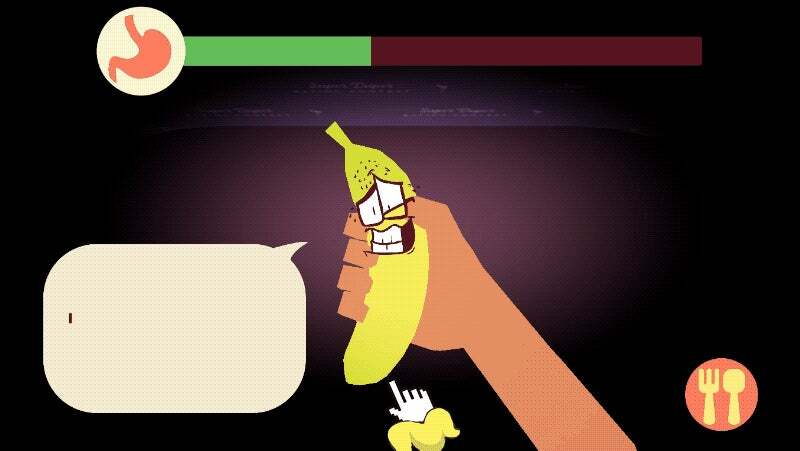 I ended up being kind of fond of the passive aggressive banana who insists that they don't have a thing for you but totally do. Most of the time, though, the game felt like a countdown until I'd metaphorically swipe left by scarfing down my date. Slamming the "eat" button is way more satisfying than swiping left on Tinder to pass by a bad date. Maybe it's because the implication is that the kind of being who talks about how honoured they are to be in your presence as an opener ceases to exist after you hit it, rather than continuing to inflict their bad profiles on other people. All I know is Appeeling Personality was pretty cathartic after opening OKCupid for the first time in a month.